Have you been injured in an accident in Atlanta? Not sure what to do next? Don't let insurance companies or anyone else push you around. The decisions you make after your accident can have serious consequences. That's why it's important to take your case seriously right from the start. 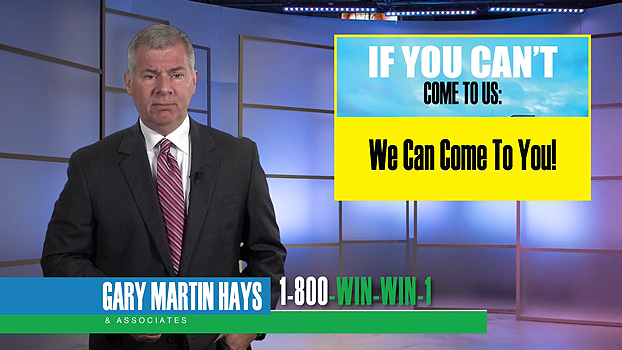 We get it at the Law Offices of Gary Martin Hays & Associates, P.C. That's because we've been fighting for the rights of injury victims in Atlanta for decades. We know how the legal system works in Fulton County. We know what evidence matters. And we will not rest until justice is served. Don't wait to take legal action. Strict deadlines exist for filing a lawsuit after an accident. In Georgia, the deadline (known as the statute of limitations) is two years for car accidents and other personal injury cases. That might seem like a long time. But the longer you wait, the harder it often becomes to find the facts that matter. Witnesses move away. Memories fade. Evidence often gets lost or destroyed. Don't miss out on your opportunity for justice in Atlanta. Contact our law firm and schedule an appointment at our Atlanta office today. And if you can't come to us, we can meet with you wherever works best - in your home, your hospital room or anywhere else. We understand that accidents can happen fast, without warning. You could be driving on I-85 when you're rear-ended by a distracted driver. Or perhaps a truck driver crashed into your car on I-285. Whatever the circumstances of your accident, we can help. This is just a sampling of the cases we handle at our law firm. If someone did something to cause your injury, we can help you hold them accountable. We know the law and know what needs to be done to deliver results. You might think you don't need a lawyer if someone did something to cause your injury accident. All you have to do is contact the police or the driver's insurance company and they'll take care of everything, right? Don't be so sure. In many cases, most people refuse to admit they did anything wrong. This is especially true with the other driver's insurance company. They may even go a step further and try to pin the blame on you. That way, they can avoid paying you the money you deserve. That's not right. That's why we're eager to work with you. You'll notice the difference the first time you meet with one of our experienced Atlanta accident attorneys. We won't tell you what to do. We'll listen. That's because we realize every case is unique. Once you explain what happened, we can then suggest different strategies for addressing your legal concerns. That way, you can decide what approach you want us to take for you. We're on the same team, fighting for the same goals. Rely on us when it matters most. Schedule your free case evaluation at our Atlanta office right now.